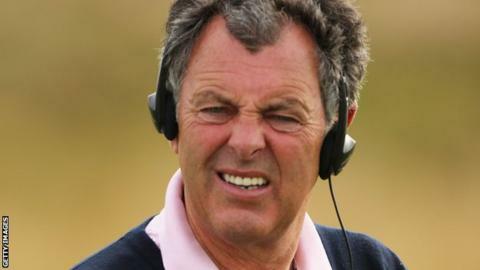 Bernard Gallacher says he always thought of himself as a "club pro" after being named Professional Golfers' Association captain from April 2021. The 69-year-old was a Ryder Cup captain and multiple winner on the European Tour while still a club professional. "There's no chance that could happen now," the Scot said, adding he was "honoured and humbled" by the invitation to be the PGA's figurehead. "The demands on tour players make that an impossibility." Gallacher, who turned professional in 1967, will take over from Lurgan Club head professional Peter Hanna, whose term as PGA captain begins next year. "Despite my success in tournaments and involvement with the Ryder Cup as a player and captain, first and foremost I have always regarded myself as a club pro," he said. Gallacher, who was head professional at Wentworth for quarter of a century, played in eight Ryder Cup matches, captaining the European team in 1991, 93 and 95, and won 22 professional tournaments. PGA chief executive Robert Maxfield said: "Just as Bernard is honoured to become captain, so are we that he will take on the role. "Although he has been one of the most high-profile and respected figures in golf for almost 50 years and still is, he has never forgotten his roots and calling as a PGA professional. "As a result, he has been a loyal and superb ambassador for the association and we look forward to him continuing to do so as its captain."